I have posted extensively on this topic and have come to a clear understanding that Oswald was the go to patsy needed to shield the perpetrators from too enthusiastic police attention. That has tended to let me largely ignore the actual Oswald story itself except to note that he was most certainly a CIA asset with all the intricacy that entails. The actual assassination was pulled off by drawing the motorcade into a kill box that had at least three sniper teams set up. The chancy location but the best location was head on behind the so called grassy knoll. As it was, that worked best. He likely would have survived the rest. This item fills in a lot more detail on Oswald and the actual background of events. JFK's great misfortune was that he was a career politician first and foremost with scant street sense. His father had been felled by a stroke at the very beginning of his presidency and was in no position to ever properly advise on that. JFK understood that much needed to change, but then made speeches about it rather than act first and explain last. I so not seeing Trump ever making that mistake. The Washington Post and Politico recently published two articles entitled “President Trump, Give Us the Full Story on the JFK Assassination” and “How the CIA Came to Doubt the Official Story of JFK’s Murder” by historians Larry J. Sabato and Phillip Shenon. The thrust of the articles was to call on Trump to release all of the still-secret records relating to the JFK assassination belonging to the CIA and other federal agencies that the National Archives is required by law to release by October. In the Post article, the authors state that they have received reliable information that at least two federal agencies are going to try to persuade Trump to block the release of some of the records. In my opinion, it is a virtual certainty that the CIA is one of those two agencies. Sabato and Shenon are correct in arguing that Trump should reject any such request. The notion that the release of records that are more than half-a-century old will threaten “national security” — however that undefined term is defined — is manifestly ludicrous. But then Sabato and Shenon go astray. Like so many others since the JFK assassination, they try to figure out what the motive of the accused assassin Lee Harvey Oswald was. In the Politico article, they posit that maybe — just maybe—Oswald somehow discovered the super-secret assassination attempts against Cuban leader Fidel Castro by the CIA and the Mafia, which had entered into an assassination partnership to kill Castro. Their thesis is that Oswald, as a supposed communist, loved and revered Castro, and therefore decided to retaliate by assassinating Kennedy. There is a big problem, however, with that thesis, one that is inconsistent with the thesis. Like many other writers on the JFK assassination writers, the authors simply do not confront that inconsistency, perhaps thinking that if they just act like it isn’t there, their thesis might somehow, in isolation, make sense to people. June 1963. That was when President Kennedy made his famous Peace Speech at American University. In that speech, he threw down the gauntlet to the CIA, Pentagon, military-industrial complex, and the rest of the U.S. national-security establishment by announcing that he was ending the Cold War against Russia and the rest of the Soviet Union and was reaching out to the communist world in a spirit of mutual coexistence, peace, and friendship. The speech was a culmination of a vicious war that had been waged between JFK and his brother Bobby against the CIA ever since the CIA’s disastrous plan to invade Cuba at the Bay of Pigs. The war had expanded to the Pentagon through Operation Northwoods, the infamous plan unanimously approved by the Joint Chiefs of Staff that called for a fraudulent pretext to invade Cuba, which the president nixed. It continued through the resolution of the Cuban Missile Crisis, which the military establishment considered the worst defeat in U.S. history and akin to Chamberlain’s capitulation to Hitler at Munich. The war between Kennedy and the CIA-Pentagon bureaucrats had become so vicious that the president didn’t even pay them the courtesy of advising them of what he planned to announce in his Peace Speech at American University. Kennedy didn’t stop there. Over the vehement objections of his national-security establishment, he entered into a nuclear-test ban treaty with the Soviets. He then ordered the Pentagon to begin a partial withdrawal of troops from Vietnam and told aides he would order a full pullout after winning the 1964 presidential election. It is impossible to overstate the enormity of what Kennedy was doing and the rage and animosity it generated. To get a better sense of the magnitude of the change he was proposing and the enemies he was inciting within the national-security establishment, I recommend FFF’s ebook JFK’s War with the National Security Establishment: Why Kennedy Was Assassinated by Douglas Horne, who served on the staff of the Assassination Records Review Board, the agency that was responsible for bringing all those records to the National Archives that are set to be released in October. As Horne details, Kennedy was changing the direction that the nation had followed since the end of World War II and which it ended up following for another 25 years after Kennedy’s assassination. From 1945 to 1990, the United States was consumed with the gigantic threat that communism and the Soviet Union supposedly posed to the United States, a threat that would obviously guarantee ever-growing power and budgets for the national-security establishment, including its army of contractors, for decades to come. The change that Kennedy was implementing would have put the quietus to the Cold War and the U.S. government’s anti-communist crusade. In the process, it also threatened the ever-growing power and stream of income of the entire national-security establishment. For their part, the bureaucrats within the national-security establishment were convinced that Kennedy’s actions would result in America falling under communist rule — that is, that Kennedy’s actions posed a grave threat to “national security.” After all, keep in mind that what Kennedy was doing — reaching out to the Soviet Union and Cuba in a spirit of peace and friendship — was what got Mossadegh in Iran, Arbenz in Guatemala, Castro in Cuba, and Allende in Chile targeted for assassination and regime change at the hands of the CIA and Pentagon. Now, here’s where common sense, reason, and logic come into play. What does the official story say about Lee Harvey Oswald? It holds that he was a devout, committed communist, right? It holds that he loved and revered Cuban president Fidel Castro, right? Well, then, here’s the $64,000 question, the one that Sabato and Shenon simply do not address, perhaps because it doesn’t fit within the paradigm on motive that they posit in their article: If Oswald was the devout, committed communist they say he was and if he loved and revered Fidel Castro, then why kill Kennedy? 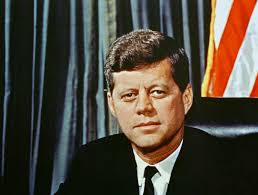 Kennedy was the president who was making peace with Russia and the Cuba, both of which had responded positively to Kennedy’s plans to end the Cold War. In the process, Kennedy was also the one who was waging war against the agency that was trying to assassinate Castro (and also, through his brother Bobby, who was the U.S. Attorney General, waging war against the CIA’s partner, the Mafia). Ironically, on the very day that Kennedy was assassinated, he had an emissary personally meeting with Castro about ending the Cold War while, at the same time, the CIA was employing an assassin in Paris to kill Castro. So, why would Oswald, the supposed devout communist, want to kill Kennedy when it was Kennedy who was initiating a dramatic turn toward peace, friendship, and mutual coexistence with the communist world, one that would obviously bring an end to the CIA’s assassination attempts against Castro and, for that matter, other people whose only crime was believing in socialism or communism? In fact, why assassinate Kennedy given that he would be replaced by a vice-president, Lyndon Johnson, whose mindset mirrored that of the national-security establishment that Kennedy was waging war against? Don’t forget, after all, that Johnson put a quick end to Kennedy’s plan to end the Cold War and soon began ramping up the Vietnam War, which ended up killing more than 58,000 American men and millions of Vietnamese people. In trying to come up with a motive for Oswald, Sabato and Shenon, of course, are not alone. Ever since the Kennedy assassination, people have tried to come up with a motive for Oswald. None of them, including the Warren Commission, has been successful. That’s because the question they ask — What motivated Oswald to kill Kennedy?— is fatally flawed, as we will see in Part 2 of this essay. As a PBS documentary entitled Who Was Lee Harvey Oswald? pointed out, I Led Three Liveswas Lee Harvey Oswald’s favorite TV Show as a teenager.